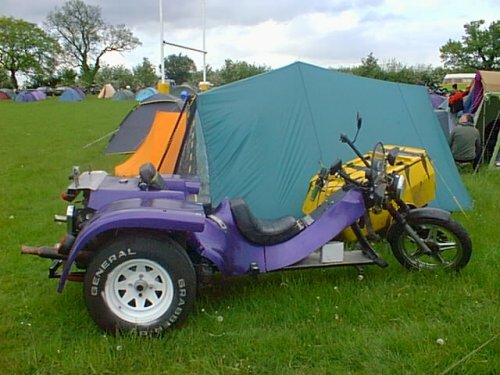 This used to be Striker's trike. It then sat for a few years without moving. I managed to buy this and set about getting it back up and running. All new brakes and all new oil seals - a complete re-wire and we were in business. I sold this to Pete Cain but he never really took to it and after twelve months sold it to Geoff from the Toads and Dogends. Geoff has changed the front end, changed the rear tyres and seems happy with it. 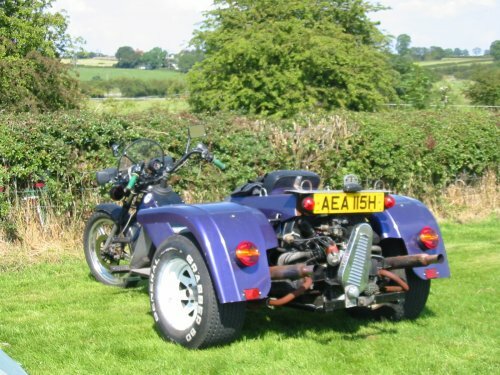 Pete Cain still has the trike bug, and built himself a very nice Reliant engined job.